Forget, for a second, how delicious this cake must be, and ponder its genius instead. 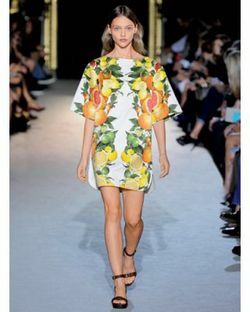 Stella McCartney’s team tweeted about this beauty, inspired by the lively print in their Citrus collection, which is how I (and probably some of you) stumbled upon it. The cake was dreamt up, crafted and posted by Apollina her blog, APOLLINAS. I’ve been obsessed with it ever since, so I asked Apollina if I could share it and her images with you. If you spend any time on her blog, you’ll quickly see how natural it would have been for her to make something so creative and lovely. She’s a curator of beautiful images and stylish ideas, and after an ongoing email exchange with her over the past week, I can attest, she seems like a beautiful person too. Now back to the most important thing: the cake itself. 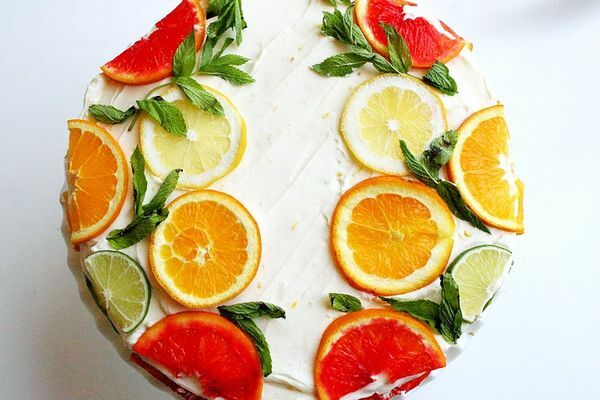 Apollina aptly named this cake “Stella” and Stella is in fact a citrus cake with lemon curd filling, orange lemon icing, decorated with sliced citrus fruit and mint leaves. What else needs to be said, really? You know I’m not as into sweet things as savoury but this? This is my kind of cake. Full recipe on APOLLINAS, where you can bookmark it like the rest of us who are in awe of it. 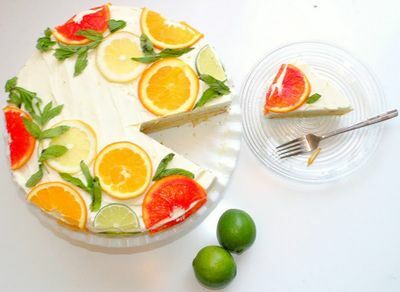 Cake images courtesy of APOLLINAS, runway image via ELLE DECOR. Previous Articlemust make: crispy, savoury french toast, preserved lemons and eggplant bacon!